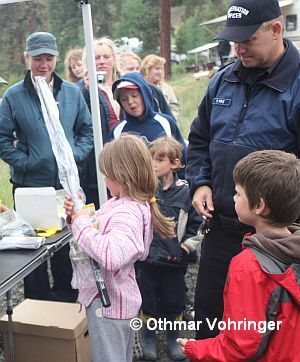 There are few outdoor events that I look as much forward as the annual BC Family Fishing Day appropriately enough held on Fathers Day, June 20th, 2010. 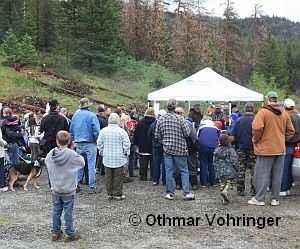 Many different clubs and organizations throughout British Columbia host the BC family Fishing Day in an effort to promote our rich fishing heritage and the family. The Event begins at 10 am on Sunday June 20 and ends at 2pm. There will be many prizes to be given away for the children. Experienced anglers and the Conservation Officers will be on hand with advice and tips. There will also be a concession tent serving coffee, soft drinks, hot dogs and burgers. Here I leave you with a few pictures from last year. A long lineup at the registry boot. 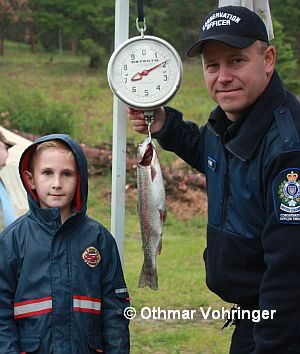 Despite rain mixed with sunny spells over 60 adults and children took part on our Family Fishing Day event. 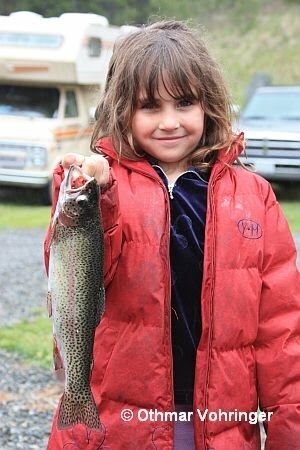 Little girl, big fish. This young lady is proudly presenting her catch of the day, a 2lbs. rainbow trout. Here is another young and proud angler with his catch. The Conservation Officer officially weighed the fish at just under 2 lbs. 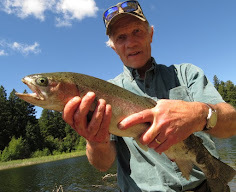 Rainbows of this size are not uncommon in our lake. It's time to hand out the prizes. There are so many prizes from the fishing rod combos to lures provided by organizations and companies that we are truly able to say, "No child left behind (without a prize.)"